Dan Marrazzo began his greenhouse business in 1947 when he was only 15 years old. At his family home on 1 Manor Lane in Morrisville, he started growing vegetable plants and cut flowers for the wholesale trade. Over the years, Dan and his wife, Carmela, built up the business to include retail and eventually to incorporate a floral department. The present location, at 1301 Yardley Road, seemed a fitting place to establish their new location in 1984, as the land has been a nursery since 1767. In the 1980's, the landscaping division was added to compliment the nursery division. The company is now in it's third generation with Mike and Nancy and their sons, Mike Jr. and Chris. 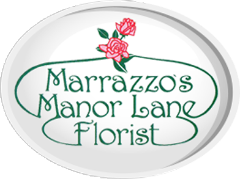 The Marrazzo family has been a fixture for decades in this area and will continue to be a proud members of the community.